The open source community is a diverse and powerful collection of companies, organizations and individuals that have helped to literally change the world. Percona is proud to call itself a member of the open source community, and we strongly feel that upholding the principles of the community is a key to our success. These principals include an open dialog, an open mind, and a zeal for cooperative interaction. Together, we can create amazing things. That’s why we were surprised when MongoDB declined to have us sponsor or speak at MongoDB World 2016, and even more taken aback when we were told our engineers are not welcome to attend the show. We make a special point of inviting competitors to participate in, speak at, and sponsor Percona Live – MongoDB included. We welcome our competitors to speak, sponsor and attend Percona Live because it is in the greater interest of the community at large to include all voices. With that in mind, we’d like to extend a special offer to any MongoDB employees: sign up for the Percona Live Data Performance Conference 2016 using your company email, and receive a special VIP 25% discount off the registration price (use promo code “mongodb”). It’s our way of showing our solidarity with the open source community, and expressing our belief that we work best when we work together. See you all at Percona Live! Register here! Welcome to the next Percona Live featured talk with Percona Live Data Performance Conference 2016 speakers! In this series of blogs, we’ll highlight some of the speakers that will be at this year’s conference, as well as discuss the technologies and outlooks of the speakers themselves. Make sure to read to the end to get a special Percona Live registration bonus! Percona: Your talk is going to be “Scylla, a Cassandra-compatible NoSQL database at 2 million requests per second.” What is it about Scylla that makes it an obvious choice for an adopter? Is there a specific workload or scenario that it handles well? Avi: As Scylla is a drop-in replacement for Cassandra, existing Cassandra users are our obvious target. Cassandra compatibility means that the Cassandra file formats, drivers, query language, management tools, and even configuration files are all understood by Scylla. Your existing applications, data and Cassandra skills transfer with very little effort. However, on average you gain up to 10 times the throughput, with a sizable reduction in latency; at the higher percentiles, you gain even more! The throughput improvement can be translated to smaller clusters, higher application throughput, a bigger load safety margin, or a combination of all of these. 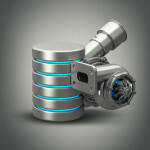 Avi: Both SQL and NoSQL have their places. SQL offers great flexibility in your query choices, and excellent ACIDity. NoSQL trades off some of that flexibility and transactional behavior, but in return it gives you incredible scalability, geographical distribution and availability – and with Scylla, amazing throughput. A great advantage of the Scylla architecture (which, to be fair, we inherited from Cassandra) is its symmetric structure. All nodes have the same role: there are no masters and slaves, metadata nodes or management nodes. A symmetric architecture means linear scaling as you add nodes, without a specific node becoming a bottleneck. This is pretty hard to achieve in a MySQL deployment. Percona: What do you see as an issue that we the open source database community needs to be on top of concerning NoSQL, Cassandra, or Scylla? What keeps you up at night? Avi: This is my first Percona Live conference, so I’m excited! I’m looking forward to engaging with Percona Live attendees, seeing how Scylla can help them and understanding which features we need to prioritize on the Scylla roadmap. 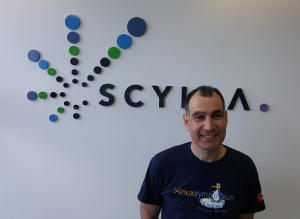 You can read more of Avi’s thoughts on NoSQL, SQL and Scylla at the Scylla blog, or follow him on Twitter. Want to find out more about Avi and Scylla? Register for Percona Live Data Performance Conference 2016, and see his talk Scylla, a Cassandra-compatible NoSQL database at 2 million requests per second. Use the code “FeaturedTalk” and receive $100 off the current registration price! Microsoft is holding its annual Build developer conference in San Francisco this week and the company is kicking off the event with its first of two major keynotes this morning. You can watch the live stream right here. This router module is designed to spread the read queries across multiple servers (slaves by default), and send the write queries to a single server: the master. This module is intended to work with Asynchronous Master-Slave replication but also with Galera replication if you plan to write to a single node. So what is routed to the Master? Store procedure and user-defined function call. As we can see, MaxScale doesn’t support READ ONLY transactions. It considers them the same as any transaction. This means they are routed to the master as a WRITE. # maxadmin -pmariadb show service "Splitter Service"
Connection distribution based on myweight server parameter. The target % seems correct, let’s test it! Five operations for both . . . this looks like a normal load balancer, 50%-50%. That explains the behavior we just observed. But what if we want to use the weight setting, and not spread the reads equivalently on the slaves? Yes! It worked as expected! sets the maximum number of slaves a router session uses at any moment. The default is to use all available slaves. When we set it to 1, we get one master and one slave connection per client, and the connections are balanced according to the server weights. The new mechanism uses statements instead of connections for load balancing (see MXS-588). Finally, this routing module also support routing hints. I’ll cover them in my next MaxScale post.